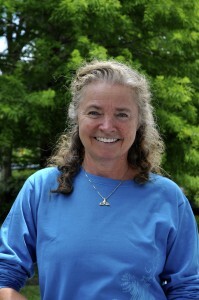 Debra Dent is a Physical Therapist with 40 years of experience specializing in manual therapy of the spine. She is a graduate of the University of Manitoba, Canada where she received her Diploma of Physiotherapy in 1977 and her Bachelors of Physical Therapy in 1979. She was certified as a Part A Manual Physical Therapist from the Canadian Physiotherapy Association in 1989 and received her Advanced Diploma of Manual and Manipulative Physiotherapy in 1994 (FCAMPT). Orthopedic Certified Specialist (OCS) designation was completed in 1996 and recertified in 2006 and 2016 as Emeritus. Debra is a Fellow of the Canadian Academy of Manual Therapists (FCAMPT) since 1994 and was an instructor for the Canadian Physiotherapy Association prior to moving to the USA. She was a guest clinical instructor at the University of South Florida from 2003-05, teaching the Spinal Manual Therapy Program for the MscPT undergraduate program. She has taught a large number of manual therapy courses in the US and Canada. She wrote the Segmental Stabilization of the Lumbar Spine for Northeast Seminars Online programs. She owns Cross Border Seminars and presently works as a consultant and contract PT in Palm Harbor Florida. Her primary case load is Rheumatology patients and deals with a multitude of dysfunctions related to those diseases as well as aging and osteoporosis. She is a photographer, captain/sailor and an avid runner.